Did you read my review of Reset Your Child’s Brain (2015), by Victoria Dunckley? Dunckley is a psychiatrist who has treated hundreds of young people who suffered from behavior disorders caused by excessive screen time (video games, cell phones, tablets, TV, etc.). Her perspective is that of a medical doctor. Her book is the most thorough treatment of the subject, and the implications are shocking. The technologies she talks about are innovating at a breathless pace, our society greets the news of each new device with awe, and the damage to young brains is radical and permanent. 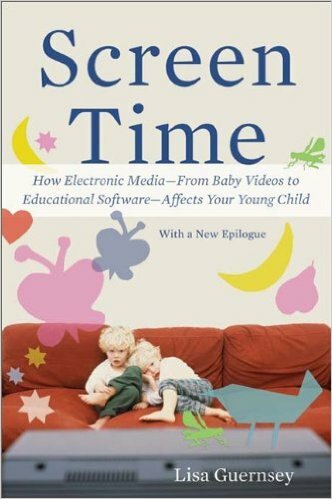 Lisa Guernsey published Screen Time in 2007, eight years before Dunckley’s book. It deals with the impact of TV and learning programs on small children. Guernsey’s approach is that of a mother and investigative reporter. She wanted to know if TV and videos were more than techno-babysitters. Should she adopt any of the programs to help her kids learn? Reading her book is like sharing an adventure of discovery. She asks all the right questions: Do babies really pay attention to TV? Can an infant get a quick start to becoming a genius by watching learning programs? Is there a difference between learning from an adult in person and an adult teaching the same subject on TV? And so on. Along the way, she visits a lot of labs and talks with a lot of experts and gets a lot of answers. And she lets us know which questions haven’t been adequately researched yet. 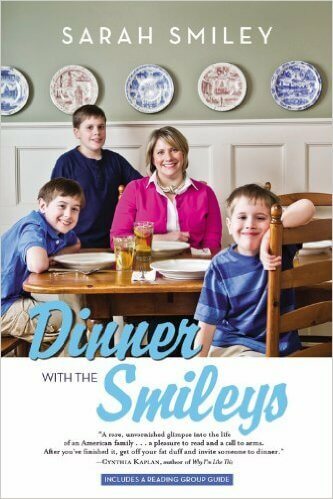 Her style is both heartfelt and intelligent – one concerned mother sharing what she learned with another. One major theme: even though some of the programs are based on research, well designed and helpful, no TV or interactive video is as powerful a learning tool as a parent spending time teaching the child. Not even close. If you have young children, Screen Time is a must-read. But be sure to take notes. The book reveals so much about what works and what doesn’t that you’ll want to have a summary. Both books form an interesting set: Guernsey’s revelations about the impact of screen time on infants, toddlers, and younger children, followed by Dunkley’s treatment of the impact of today’s hi-tech devices on older children. Taken together, we understand the horror of this massively lucrative entertainment industry, which is aimed at our kids. The learning media Guernsey describes create the viewing habits and relationship to screen devices that condition older children to embrace the technologies that can do serious damage. As a parent, do you really want this to happen? Do you really want your child to learn from an early age that screen-based devices are the default mode of communication, entertainment, and information? Do you really thing these screen-based presentations are the equivalent of or even superior to what happens in the real world? 1. Screen-based learning programs for small children aren’t worth it. Interactions with adults and field trips in the real world are far superior and have no bad side effects. 3. In the face of the cultural assault led by manufactures of these devices and their programs, establish clear rules and responsibilities by the time your child is ready for school and enforce them until he or she is ready to leave home. To learn how some parents have successfully dealt with this challenge, read this article. And this. More truth-telling about excessive screen time. Protecting your child’s is key to helping your child develop vital thinking skills. My new book: How Your Teen Can Grow a Smarter Brain.